What if we made a Class A version of the Vidar? No, wait, strike that. What if we made a better-than-Class-A-in-many-respects version of the Vidar? Well, here you go. Meet Aegir. 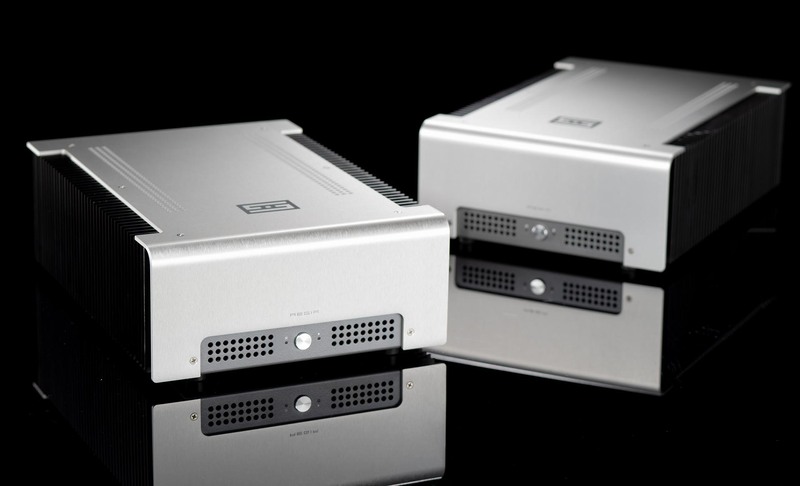 Aegir is our first Continuity speaker amplifier, extending a technology we introduced with the Lyr 3 headphone amp. Technically, Continuity is a way to eliminate transconductance droop outside of the Class A bias region, and extend the benefits of Class A biasing. It also solves the NPN and PNP device mismatch problem, since it uses both NPN and PNP devices on both rails. It’s still a very hot-running amp, though, with over 10W of Class A standing bias. Like Vidar, Aegir uses an exotic current-feedback topology, as well as a 100% linear power supply (with 7 separate voltage rails and 600VA transformer) and microprocessor oversight to eliminate capacitors and DC servos in the signal path. No Class D, no switching supplies, no fans, no compromises, nothing in the signal path but music—for a three-figure price tag. 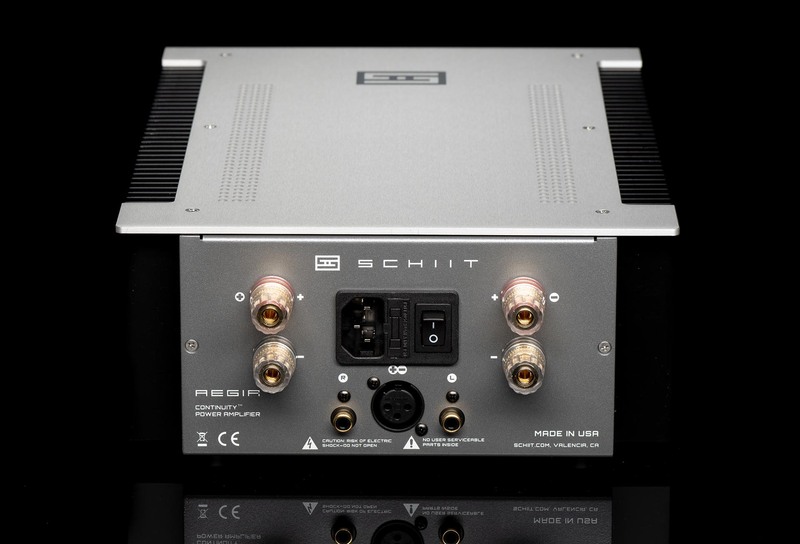 Aegir provides 20W into 8 ohms, doubling to 40W into 4 ohms. Run mono, and you’ll see 80W into 8 ohms. Best of all, Continuity ensures you see Class-A-like performance at all these power outputs. 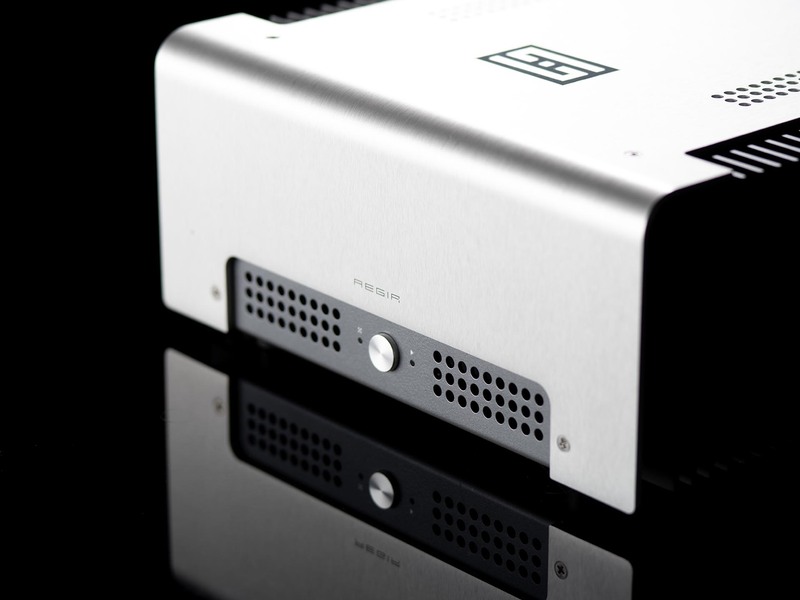 On Aegir, we’ve added a front-panel button to put the amp into Standby mode. This de-biases the output stage completely and reduces standing power consumption significantly. This keeps the rest of the amp up and running, without massive heat output. By “designed and assembled in USA" this is what we mean: the vast majority of the total production cost of Aegir—chassis, boards, transformers, assembly, etc—goes to US companies manufacturing in the US. Our chassis are made minutes from our facility. Our PCBs are done just over the hill from us, or done in NorCal. Our transformers are also made in California. You get the picture. Aegir is covered by a 5-year limited warranty that covers parts and labor. And if you don’t like your Aegir, you can send it back for a refund, minus 5% restocking fee, within 15 days of receiving it. Input Sensitivity: AKA Rated Output (Vrms)/Rated Gain. Or, 14.3/12. You do the math. Okay, so what is this Continuity™ thing, really? Like we said in the product description, Continuity is a way to extend the benefits of Class A operation outside of the Class A bias region by eliminating transconductance droop, and to solve one of the problems that Class A doesn’t inherently solve—the mismatch between NPN and PNP output devices. Huh? I didn’t understand all of that. Okay, let’s break it down like this. Continuity allows us to run less bias than Class A (though not a lot less) and have the amp act like Class A even when it’s putting out more power than its Class A bias. Okay. 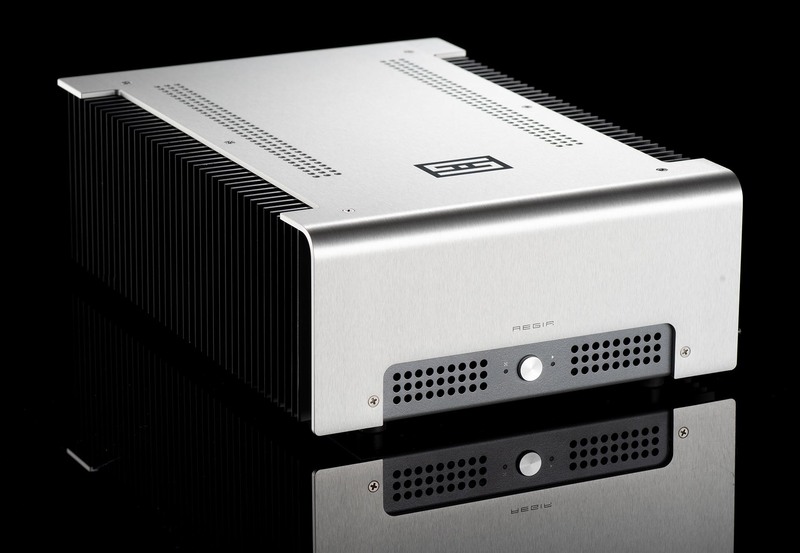 If Aegir was a normal Class A amp, it’d be biased at 20W for a 20W rating. Outside of that 20W rating, it would act like a Class AB amp. But Aegir is a Continuity amp, so it’s biased at 10W, rated at 20W, but can act pretty dang close to a Class A amp up to 80W or even higher, when run in mono. Okay, so it’s a sliding bias scheme. Nope, it is a unique output stage that uses both NPN and PNP devices on both rails, and selectively turns on additional devices to compensate for transconductance droop outside of the Class A bias region. Okay, so it’s a Sziklai output stage. Nope, the output stage has no gain. Okay, so give me a schematic! We’ll do one better: we’ll give you an education. We’d recommend you read John Broskie (tubecad.com) and Bob Cordell (cordellaudio.com) on the problems of transconductance doubling (we call it transconductance droop) and the various ways around it. But Continuity can’t possibly be better than Class A, right? Depends on what you mean by “better.” If you have guys who manage your funds and 30 tons of A/C on your 6000 square foot vacation home, sure, maybe Class A is ultimately better. But maybe not. Traditional Class A doesn’t address the NPN and PNP device mismatch (they are not the same—look at the datasheets). Also, if you’re measuring with a sane yardstick—that is, price vs performance, and will my significant other kill me when they see this thing—then hey, yep, Continuity is definitely better. So this thing runs pretty cool, huh? No. It’s still one very hot-running amp. The heatsinks are gonna reach 50 degrees C or more, depending on the ambient temperature of your home. You’re going to need to run Aegir in a well-ventilated area. Also, if you like your house hot (like, 30 degrees C and above), you may have to use an external fan to avoid thermal shutdown. There’s no such thing as a free lunch. Why would I pay more for a lower-power amp (compared to Vidar)? Sigh. You saw through our cunning plot! Just buy a Vidar. Or Emotiva. No, seriously, why does it cost more than Vidar? Because it costs more to make. Between device matching, a more sophisticated power supply, a super-tweaky transformer, and the additional feature of output stage standby, it costs more. So…it costs more. There’s no grand conspiracy. So what did you do to cheap out on this amp? Not much. Like Vidar, Aegir uses a dual-mono-to-the-transformer design for the main output power supply (the most important place to use it). It has an exotic current feedback topology, coupled with our unique Continuity output stage. The power supply is completely linear, with 600VA transformer, over 150,000uF of filter capacitance, and 5 regulated power supply rails. 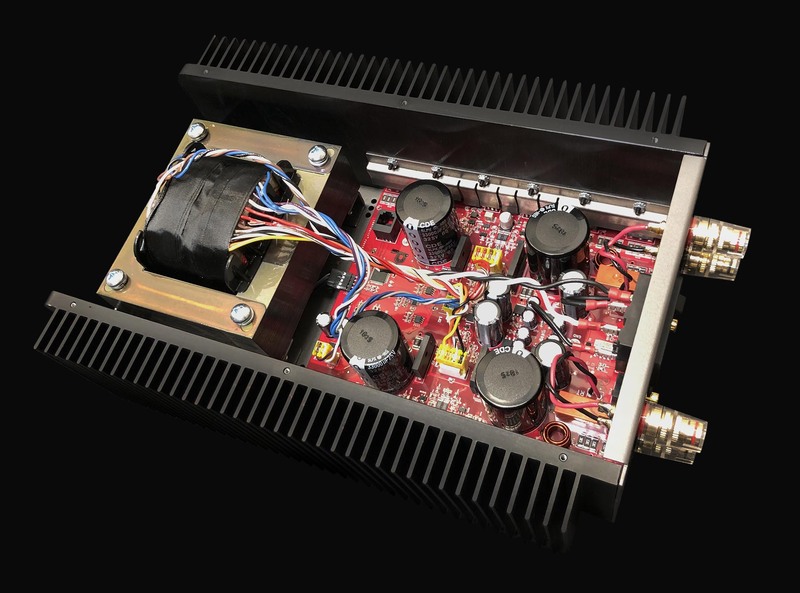 There are no coupling capacitors or DC servos in the signal path thanks to a sophisticated microprocessor oversight system, which also protects the amp and enables a lower-power Standby mode. But, isn’t 20W not a lot of power? Is that enough for me? We can’t really predict how it will work in every situation, but if you’re using efficient speakers (88dB and above), or if you’re using two Aegirs run in mono for 80+W, then it’ll probably be fine. Wait. How does the monoblock mode work? It’s not a mode. It’s just the natural result of driving each channel with one half of a truly balanced signal. That’s why you need a preamp with balanced outputs. And that means REAL balanced outputs, not just XLR connectors. 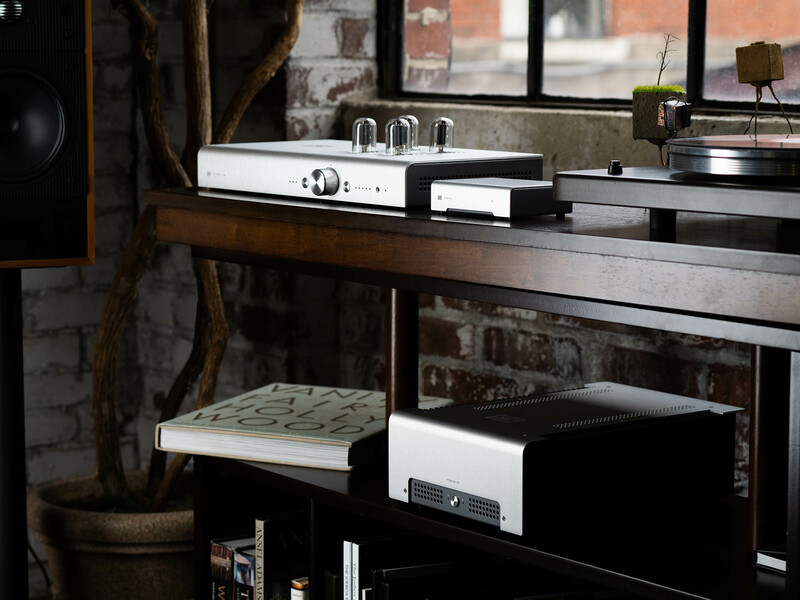 Freya is a truly balanced preamp, for example. There’s a difference between XLR and balanced? There can be. If you aren’t using Freya, ask your preamp manufacturer if it has true balanced, differential outputs. If it does, you can easily run two Aegirs as monoblocks. Aegir, in Norse Mythology, is the Lord of the Sea. This doesn’t mean that it’s liquid-cooled, nor do we intend to add liquid cooling, nor is it a veiled attempt to inject audiophilic words like “liquid” into this conversation. And that’s it. Disclaimers are over for the day. We hope you enjoy Aegir!